On the eve of an impending press release, MoTR compiles details known so far about the first commercial Tomb Raider video game soundtrack release in nearly 17 years of the franchise. The move is pioneered by parent company Square Enix, having acquired previous Tomb Raider publisher Eidos Interactive in 2009. And in no small part collaborates first-time Tomb Raider composer Jason Graves, who regularly sells his work on digital music distributors such as iTunes. 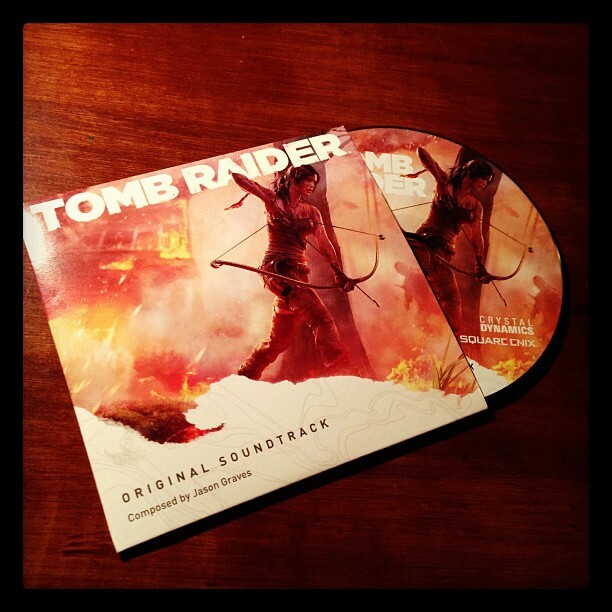 The first readily purchasable music from a Tomb Raider game is marked with the release of the original video game score to Tomb Raider, a reboot of the iconic title starring the culturally influential lead character, Lara Croft. Tomb Raider has "gone gold" for a multi-platform release, and is set to launch March 5, 2013. Square Enix and Crystal Dynamics announced on the 30th of November, 2012, that "Jason Graves, an award winning composer with an outstanding pedigree across film, television and gaming is penning the original score for Tomb Raider". Graves' involvement is revealed and detailed in the third episode of The Final Hours of Tomb Raider; The Sound of Survival. Graves has been acknowledged with a BAFTA for his work for Original Score and Use of Audio in Dead Space. In reply to an enquiry from fellow Tomb Raider fan Stevo505 in regards to the sale of the Tomb Raider score on iTunes, Graves responded with a "Most definitely...". Recently the composer posted an image of the promotional soundtrack on CD to his official Facebook page - the confirmed indication of a 20 track iTunes release. Jason had to cut down "three hours of album-ready music". An announcement for an equivalent physical release on audio CD is expected, as when asked by Twitter user nEEd_yOuR_bEEt if the Dead Space 3 soundtrack would be available on CD, Graves denied that possibility but mentioned "For TR, yes.". Graves tweeted in response to AxelLSierra that the "Survivalist cut" "will have completely different music" from the intended iTunes release; the composer offering 100% exclusive material for those who purchase the Collector's or "Survivor" edition(s) of the game. The "Survivalist cut" will be in physical format for North America (pictured, brand director Karl Stewart), but digital around the rest of the world. 10-tracks were confirmed via the Official Tomb Raider Blog. As confirmed by Crystal Dynamics community and communications manager, Meagan Marie, in 2011; the original Tomb Raider motif composed by Nathan McCree in 1996 will not appear in this iteration of Tomb Raider. Nor is the new theme an intentional derivation of the old. Graves solidifies this via Twitter in response to MonsieurRik: "Nothing intentional. All new music at the request of Crystal". “@axellsierra: can't wait to hear full soundtrack in survivor ed. of @tombraider." FYI, SE will have completely diff music from iTunes! @tombraider soundtrack update: almost three hours of album-ready music exported. How am I supposed to cut that down?! “@klonatr: @jgmusic Do you know if the Collector's Edition Soundtracks are Digital or on a CD?”<--CD in the States. Digital everywhere else. @monsieurrik Nothing intentional. All new music at the request of Crystal. No pressure, right? !